← The Greatest Vocation of All! I definitely opened this page expecting to read a list of 7 other people, not me! Humbled. Thanks for the shoutout, Stef! Some of these blogs are favorites of mine, too, but I’ve never heard of Humble Handmaid–off to go check it out! Have a good weekend! Glad you are checking out Humble Handmaid! I know you’ll love it! Oh my! Thank you so much! I feel honored (and a little out of my league) that you recognized me among all these other amazing blogs! I just realized that I spelled your name wrong! I forgot the E! I will correct ASAP! Thanks for doing what you do! Thanks a lot, Stephanie. 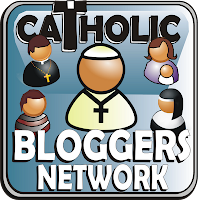 It’s great to be connected with so many great Catholic bloggers. 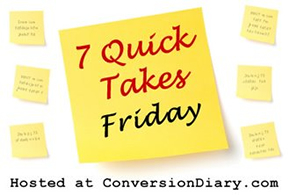 So happy to see Captive the Heart here with these other fabulous and famous blogs! I love Stephanie! Her perspective keeps my 17 year marriage fresh and brings me back to those early precious days of marriage.